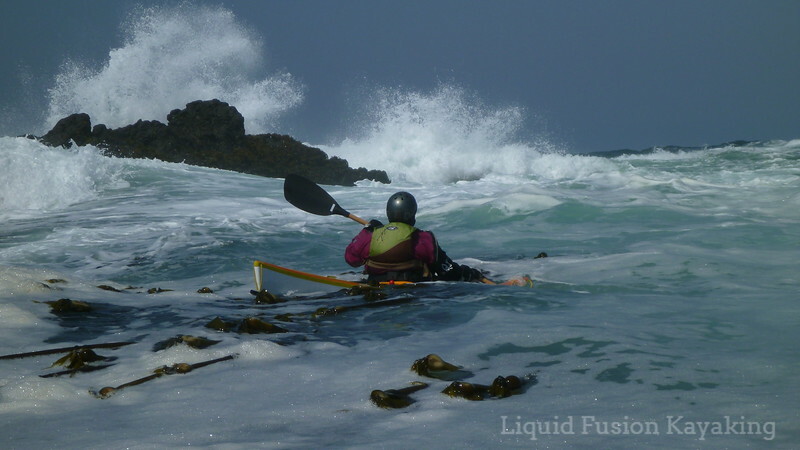 3 days of sea kayak training and play in the rock gardens, surf, and waters of the Mendocino Coast. 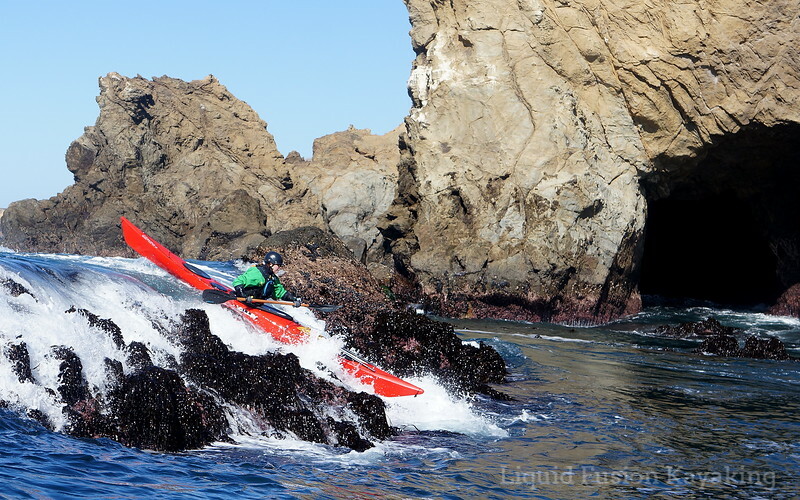 The Mendocino Coast is a paddler's paradise with rock gardens, sea caves, and surf zones. Located 3 hours north of San Francisco, the Mendocino Coast embodies the best of Coastal Northern California - a rugged coastline, breath-taking beaches, towering redwood forests, quaint towns, and a slow pace of life. January is a great time to visit the Mendocino Coast as the Gray Whales are migrating, and it is wild mushroom season. Onto the Sea is for intermediate level sea kayakers who want to improve their sea kayak skills in a world class paddling destination under the guidance of expert coaches. Instruction will include an intensive focus on surf zones and rock gardens including skills for rock gardens, surf zones, safety and rescue, planning, and touring, (see more in the curriculum description below). Evenings we will gather for skills/video/photo review of the day and other entertainment. Lodging in a vacation rental apartment is available Saturday-Monday morning - $100/person or participants may arrange for their own lodging. Number of students is 3-6. For those interested in more than a 3 day adventure, private coaching sessions are available before and after On to the Sea. To sign-up call (707) 962-1623. Reservations require a 50% deposit at the time of registration. The balance is due by December 15. Cancellations made by December 15 will receive a refund minus a $25 office fee. Cancellations after December 15 will receive a refund minus a $50 office fee if we can fill your spot. Sea Kayak Coastal Tour with Rock Garden Exploration and Play - a day's journey of exploration and play. We will plan a coastal journey and seek out play spots - pour-overs, surge channels, and surf spots. Coaches will individualize instruction to help students perfect their timing and hone in their play skills. Planning and Forecasting - theory and applied practice as to how tides and conditions pertain to rock gardens and surf along with practical navigation. Leadership/Teamwork - theory and application of skills for paddling as a team. Boat Handling - refining paddler's skills to move efficiently and effectively in dynamic waters. *** For those without a BCU 3* Award, check out our Beyond the Basics Sea Kayak Skills Training January 17-19, 2015. *** For those who want a whitewater and surf kayak play weekend, check out our Holiday Whitewater and Surf Safari - January 2-4, 2015 and February 14-16, 2015.